Ffynnon Fair, St Mary’s Well, lies fairly close to the town centre in Dolgellau. To find it follow Cader Street out of Eldon Square and then turn left up a steep narrow lane, Love Lane, just after passing a Ffynnon Street on the right. 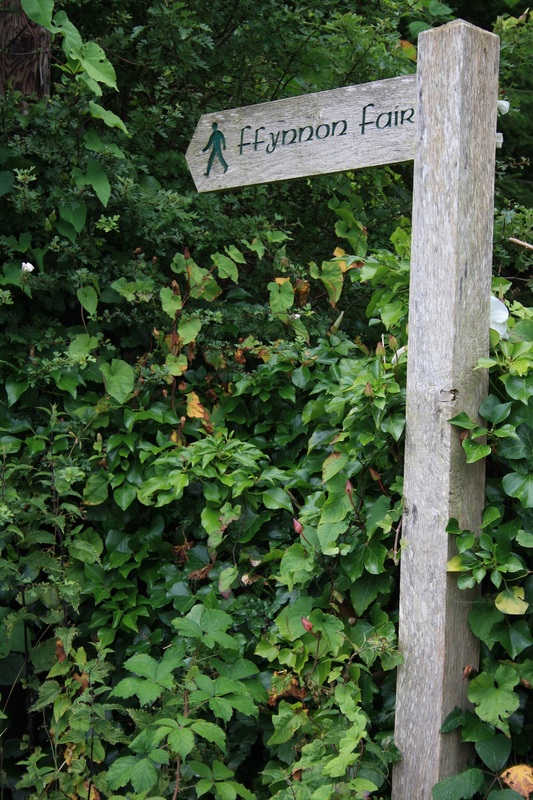 Pass a small hotel called Ffynnon and then the well is signposted for pedestrians along a track on the right hand side. 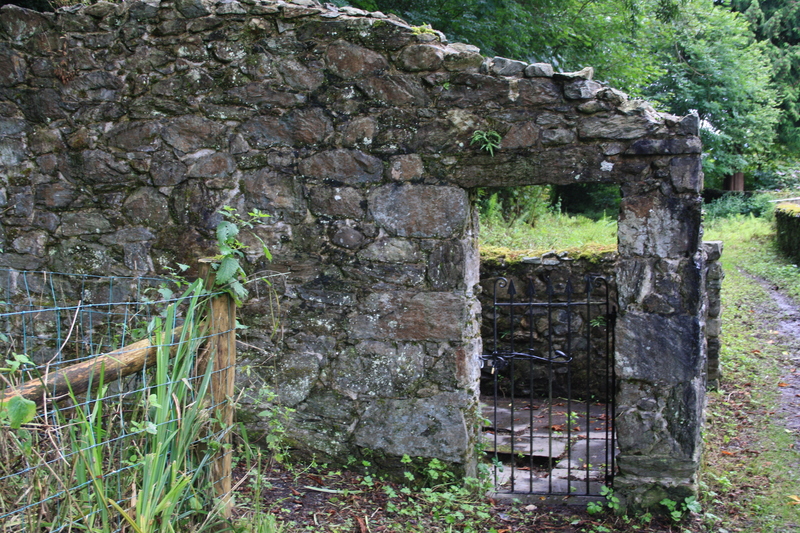 Ffynnon Fair will be a great disappointment to the pilgrim, “the well that likes to say no”. In that the entrance gate is firmly locked and secured with a bicycle chain. Normally this would be no hindrance, but the surrounding walls were a little too high and the stone flagged floor surrounding the well looked a little too slippery to attempt to jump in. This is doubtless the well that was associated with the parish church. The name of the well is remembered but no traditions of healing or of popular resort to it appear to have survived. 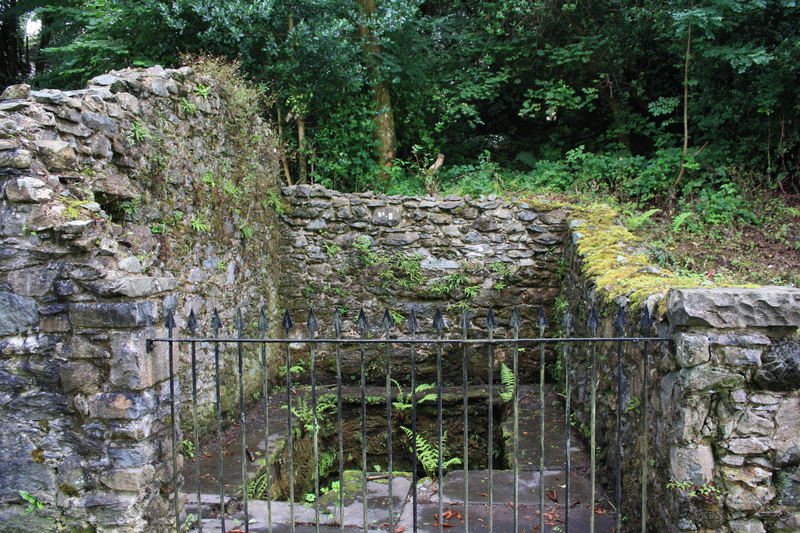 There appears to have been talk even then of restoring the well, but nothing came of it until 100 years later when a group organised by the Dolgellau Heritage Society cleared and restored the site., after which the well was placed into the care of the Dolgellau Town council. Although the Royal Commission were unable to identify any healing tradition associated with the well, the Christmas 2006 edition of Llygad y Ffynnon notes that it was once famous for its ability to improve arthritis, though other sources suggest rheumatism. A number of sources highlight the fact that two roman coins were found by it and use this as an indication of the longevity of use of the spring. This record appears to be based on a note by Lhuyd in the 1690s who records that several coins were found in the neighbourhood of the well, of which two were in his possession. From this distance in time we cannot really judge what radius he might define as being “in the neighbourhood of the well” or impute that the coins were left, either intentionally or not, by visitors to the well. Some 25 yards further along the track, on its right hand side we reach another spring. 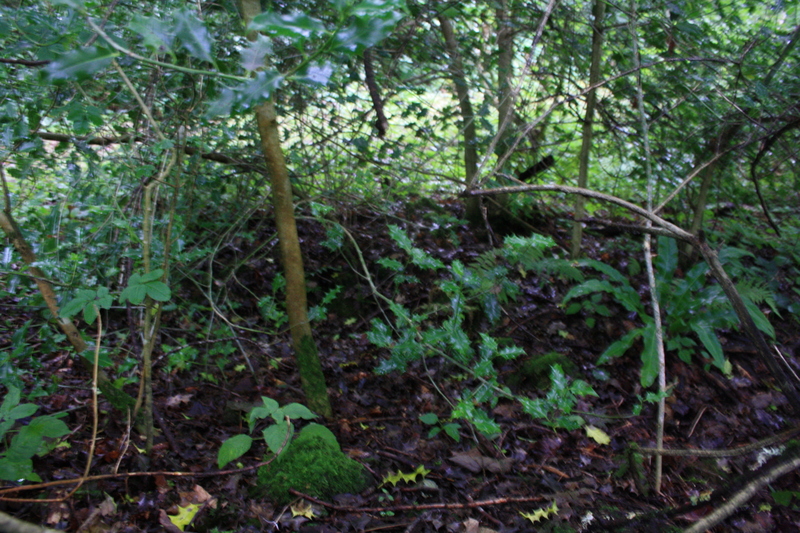 This appeared as a boggy overgrown piece of land beneath a large tree on the August day we visited. 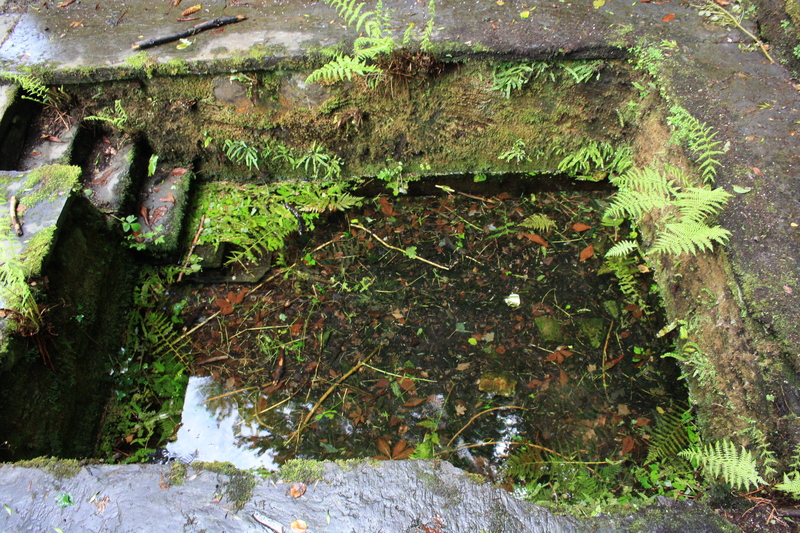 This is Ffynnon Llygaid, the eye spring, which was visited in the past to treat complaints of the eye. This would suggest that in its time it has been a particularly clean water source. Unfortunately this is clearly no longer the case. A number of stones lying around suggest that possibly there may have been some small structure around it, but it is hard to see through the weed and no record that I have seen suggests this. Llygad y Ffynnon the well is discussed in several issues between summer 2006 and Christmas 2008.